Fad’l Mohamed is currently the Chief Executive Officer of Maybank Investment Bank Berhad. He previously held the role as the Deputy CEO at Maybank Investment Bank Berhad before October 2018. Fad’l started his career as a lawyer with Messrs Rashid & Lee. He then joined the Take-overs and Mergers Department of the Securities Commission (SC) when the SC was established in 1993. Thereafter, he joined Dresdner Kleinwort Benson, an investment bank, providing cross-border M&A advice and other corporate advisory services to Malaysian and foreign corporations. He then set out on his own to provide corporate advisory services. In 2004, he founded Maestro Capital Sdn Bhd, a licensed corporate finance advisor providing corporate finance advisory services, primarily in the areas of M&A and fundraising. He led the firm for more than 10 years prior to joining Maybank Investment Bank Berhad. Fad’l holds an Honours degree in Law from the University of London and an MBA (Merit) from Imperial College Business School. Fad’l also has a Certified Diploma in Accounting and Finance (Association of Chartered Certified Accountants) and is a licensed Capital Market Services Representative. 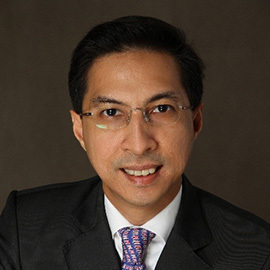 Fad’l is member of the Board of Commissioner for PT Maybank Kim Eng Securities in Indonesia and a Director of Maybank Private Equity Sdn Bhd (MPE). He has served as a Director on the Boards of many companies, amongst others, he was an independent non-Executive Director of CIMB-Principal Asset Management Berhad.